Last week all the big promotions were running events and it seemed each one had at least one female fight. This week we go with the opposite, the big promotions aren’t running events, there are no “high profile” fights, so we dig into the regional scene to find the fights to look forward to. These fights might not be high profile, these fights may not be seen on television or PPV or anything like that, but they have potential for some excitement and all those big names started out in promotions like this, so who’s to say the names listed here won’t end up in the big show? So let’s take a look at my three favorite female bouts of the coming weekend. OK, first look and you see two fighters with losing records, but records can be deceiving and they don’t tell you all you need to know about the skill level of the fighter and the excitement level of the fighter. We start with Haga who brings a record of 10-16, but Haga has fought a who’s who of women’s MMA. She actually started her pro career at 1-11, so since then she has gone 9-5. She has dropped her last three (as well as a boxing and kickboxing bout in the Queen of Sparta tournament), but those losses are Amy Montenegro, Hannah Cifers and Kali Robbins, and there is no shame in losing to any of them. Truth is, Haga is a skilled fighter who is capable of beating anyone on any given night. Two of those three losses in her last three were very close decisions. Haga is very capable on the feet, but she excels on the ground, throwing up submissions at any time, often appearing in trouble and pulling out or throwing up a submission out of nowhere. Haga is a smart fighter who is always thinking a step or two ahead. Facing an opponent who has two pro defeats and both being by armbar, it would seem logical to think her best path to victory will be to get it to the ground and look for the submission herself. But she’s fighting a tough opponent who won’t go willingly. So Haga may need to be willing to engage in some stand-up and maybe some clinch work to work her way to getting the fight where she wants. All you have to do is look at Haga’s teammates and you’ll know she isn’t going to be afraid to do just that, stand and wait till the right time to get it into her world. Haga is never out of a fight so even if the fight drags on and she is having trouble, she can come out of nowhere and get that finish. Clausius had a long amateur career before turning pro in June of last year. Long may not be the best way to describe it, probably “extensive” is a better word because it seemed like she was fighting every two months. She’s a fighter that you can’t help but like, one of those “give me a name, date and time and I’ll be there” type fighters. The pro debut didn’t go her way as she was ambarred by Jamie Milanowski. She bounced back six months later to defeat a tough Miki Rogers before dropping one to Hannah Guy less than a month ago. Being back in there so soon might be a case of this being too good an opportunity to pass up, but there is no doubt it is also a case of as I wrote above, wanting to fight and willing to fight at any time. This will be a big step up for her, fighting someone of Haga’s experience and on card on UFC Fight Pass, but Clausius is not someone to worry about succumbing to the nerves or caught up in the moment. Haga is someone who is very hard to finish, so for Clausius to get the win here she needs to be mentally prepared to go three rounds. She might not need all three but she needs to be prepared for it. Her best path to victory will be to keep it up on the feet. She can make it an ugly fight and bully Haga and frustrate her. If she does that and makes Haga desperate, that will suit Clausius well. She needs to avoid feeling comfortable as well. If she’s winning, if she’s in total control, Haga is still a threat, so Clausius needs to keep that in mind, which I’d expect that she will. It would seem she will have a strength advantage so perhaps she can work well in the clinch if the fight goes there, so as long as she avoids letting Haga get into a position for the takedown. Not to say Clausius is useless there because she is far from that, it’s just that that is where Haga will be at her best and most dangerous. For Haga, a win here shows she’s still got life left, that she is still capable of beating anyone at any time. Her goals are still to get to a big show and a win here is needed for that. For Clausius, what is at stake is this fight will go a long way in showing where she’s at in her career. Is she ready for the tougher opponents or does she still have some growing to do? This is a rematch of sorts, as these two competed not long ago in a grappling match won by Elliott. After a very good amateur career she made her pro debut on short notice for Invicta FC losing to Sijara Eubanks. Seeing what Eubanks did after, there is no shame in that loss. She took over a year off and returned losing to Marissa Pender before finally breaking into the win column with a win over Taylor Turner. Elliott (Gina Begley if you are looking her up for results) has stated this will probably be her last fight which maybe gives her a “nothing to lose” attitude which could make her more dangerous. She is capable on the feet, but I think it is fair to say working for submissions is her bread and butter where she holds advantages over opponents. Elliot is a very technical striker, not overly powerful but uses very good technique and use of combos to do some effective work on the feet. But knowing what she did in their grappling match, one would expect that she will want to see the fight get there and may use those combos to try and get in close and get it to the ground. On the ground, she is creative with her submissions, she can set them up but can also grab them out of nowhere which makes her dangerous there. She’ll likely want to avoid it becoming a brawl if it does stay on the feet for a length of time. She is also a smart fighter, she is able to see what’s happening and adjust accordingly, so if the fight isn’t going the way she planned or wants, she is very capable of adjusting and moving to a plan B. Cardio is no issue for her so if the fight goes into later rounds, she will be o.k. with that. Peshewa made her pro debut in 2018 taking a decision from Natalie King. She has been out of the cage for awhile but she has kept busy, including the earlier mentioned grappling match. Peshewa for her part is capable wherever the fight goes but with the result of the grappling match in her head may want to use tools that were not available to her in the first meeting and make this a stand-up battle. Peshewa is known for having some battles, coming forward, non-stop aggression, blood is a bonus. She would seem to be the more powerful of the two fighters so may want to make this more of a brawl as opposed to a technical battle. While she herself is capable on the ground and is able to find finishes herself, she might not want to allow her opponent to be where she is at her best. On the ground she will likely want to keep moving, be active and not let Elliott get comfortable. On the feet, her aggression may be her best weapon, not allowing Elliott to be so technical, a brawl would suit Peshewa just fine. She proved in her pro debut she can go the distance if needed, but will want to be smartly aggressive so she has some energy in round three. For Elliott, if this is indeed her last fight, it’s simple, everyone wants to go out on a high note, go out with a win. 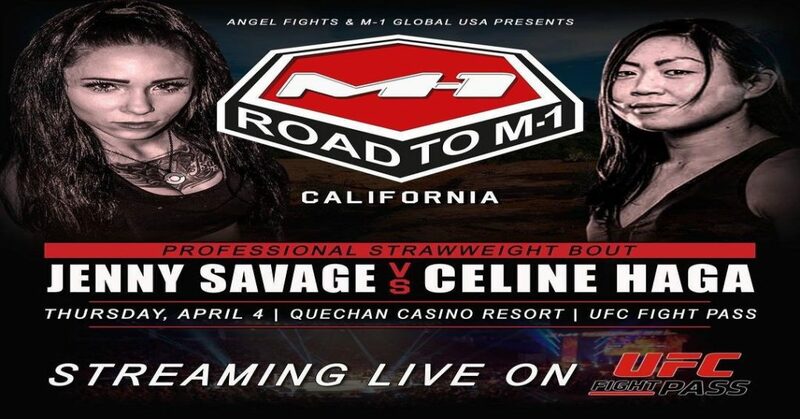 For Peshewa, she wants to take that next step and fight for a big promotion and a win over a credible opponent here is the next step to making that happen. 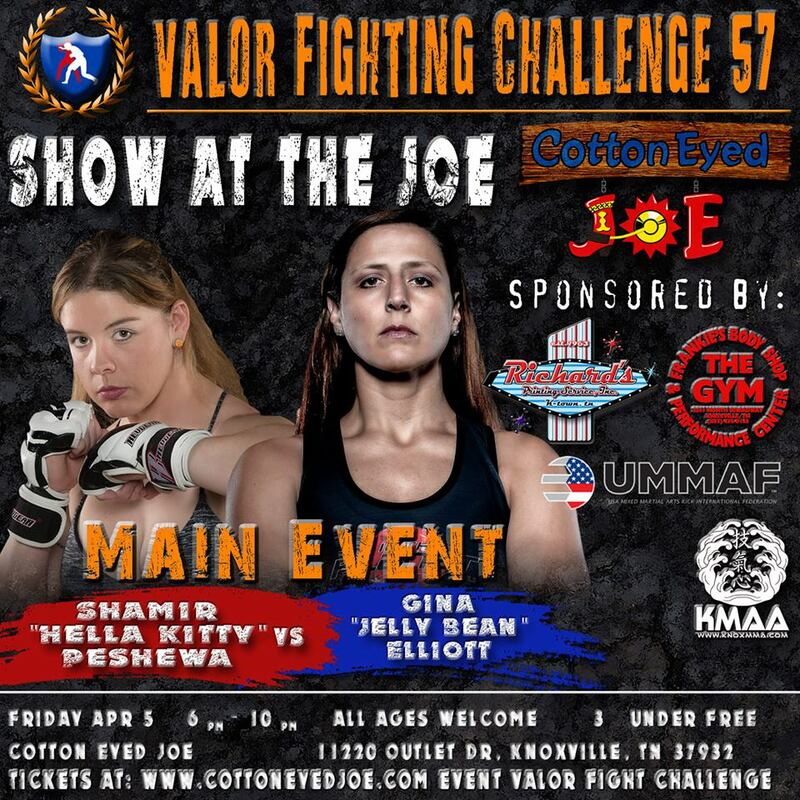 This fight can be seen as part of the Valor Fighting Challenge 57 stream on Flo Combat. Despite the name of the event, this is not the same card as the first bout, it’s a different event on a different day. This fight features two very similar fighters, both bringing in 3-0 records and at the same point in their careers. The one difference is that Emelyanenko has fought a little better quality opponents. She is coming off a February decision win over a very tough Ekaterina Makarova. She comes from a sambo background but really is a well-rounded fighter who is capable everywhere. In this fight, most likely her best path to victory might be to get it to the ground. Her first two pro victories were via armbar and ground and pound. It might behoove her to get it to the ground, frustrate Stepanova and make Stepanova get a little desperate. Even if she can’t get the finish, she can maybe have a desperate opponent late in the fight who will be open to making a mistake. Emelyanenko is a confident fighter as well and if she herself is put into a bad situation she can be expected to remain calm and not panic. Stepanova as mentioned comes in with the same record as her opponent and even holds a decision win over Ekaterina Makarova, just like Emelyanenko, but besides that, her opponents have been a little lesser in quality than Emelyanenko’s. Her most recent fight was an armbar finish of Burayma Akbalaeva in December. She’s a bit more wild and aggressive than her opponent, and that might help her here but it can also backfire as she will be more apt to want it on the feet and her aggression can backfire if she’s too careless. The first round might tell the story of the fight for Stepanova. If she can dictate the pace and get it going how she wants, she could be in great shape for the rest of the fight. If round one does not go her way and she faces adversity for the first time, against an opponent like Emelyanenko, things can go from bad to worse. She has never faced any adversity in her career and has always been expected to win, now going into a fight as an underdog, early adversity can really throw her game off track. These are two of the top female prospects in Russia. Both are highly thought of. Emelyanenko was considered a prospect before she even got started and Stepanova didn’t take much longer. The winner of this fight will continue to climb that ladder into bigger and bigger fights while the loser goes down a peg on the ladder. As of now I have no information on how to view this bout. I will update when I know more. 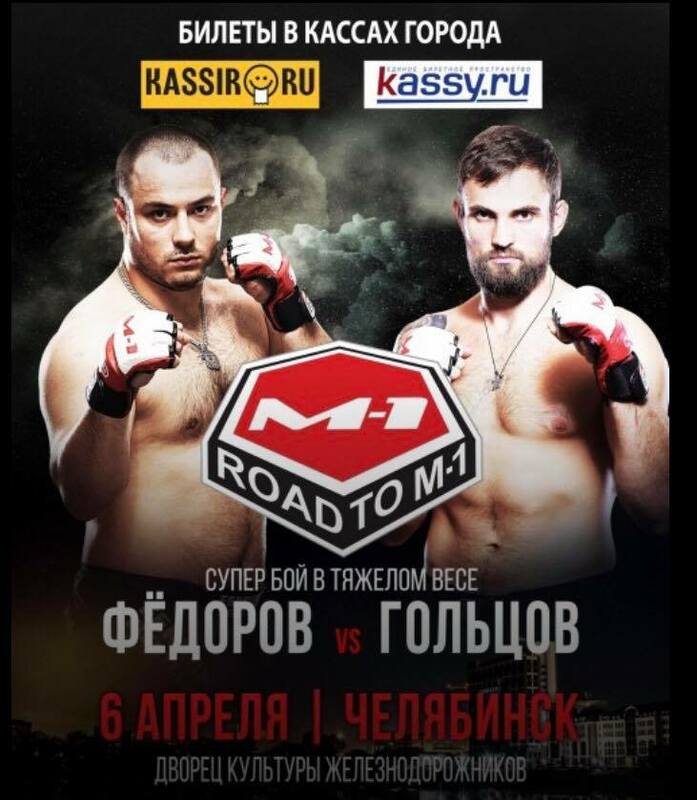 Below is the fight poster for the main event of the card that features the Emelyanenko – Stepanova fight. Next Women Of MMA: Don’t Mess!